A couple weekends ago I headed out to the Carolina Bird Club’s winter meeting in Nags Head, North Carolina, on the cusp of the Outer Banks. The CBC is great for holding their meetings at some of the Carolinas’ best birding locations, but there’s something special about the Outer Banks that makes the rotation to the NC coast something that birders don’t want to miss. As such, it’s generally one of the best attended meetings and boasts the best bird list with field trips that range inland as well as up and down the barrier islands. There are seabirds and wintering waterfowl and gulls and a handful of unusual winter lingerers. In short, it’s a lot of fun. I was tasked with leading a couple trips, one up the coast where the only highlights included an American Bittern and a handful of county ticks for a new county. The second was better. I was to go inland to Pocosin Lakes NWR, home of massive flocks of Tundra Swans and Snow Geese. We saw both, though the goose flock was too distant to pick out the Ross’s and Cackling Geese that are usually tucked within. Even so, the fallow cotton fields surrounding the refuge were good for American Pipit, Horned Lark, and more Northern Harriers that I’d seen in one day in a very long time. The highlight of the day came quickly after the lowlight. 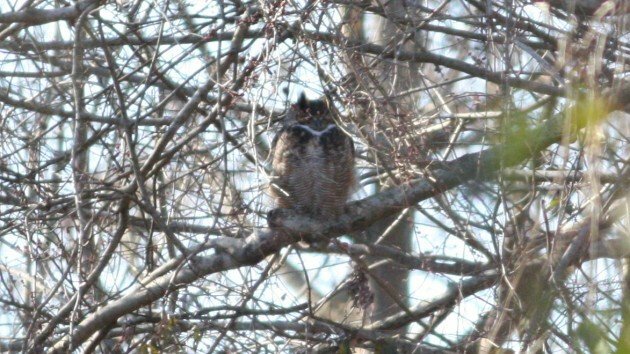 We had dipped hard on a long-staying (but not always reliable) Ash-throated Flycatcher at Pettigrew State Park, but while searching for the bird one of the tour participants found a roosting Great Horned Owl, a really nice way to close out the day. The highlight of the entire meeting came later that evening when, in the middle of the Saturday night speaker’s talk, the Northern Saw-whet Owls – long-staying but missing recently – at Bodie Island Lighthouse were refound. A carload of birders quickly grabbed our cold weather gear and made the 15 mile drive south a quick as we could. We parked at the entrance and walked down the road bordered by tall pines, the only such habitat on the Outer Banks. We stood in silence, watching the stars for about 10 minutes before the soft tooting of a Saw-whet Owl floated through the air. High fives were exchanged as birders slowly arrived and the bird turned it’s head and bellowed at us, in the way that only a Saw-whet Owl can bellow. It was a state bird for me, and one I’d wanted for some time. Heard only, but that still counts. At the close of the meeting, I had a morning to fool around Dare County with the goal to finally tick over 200 species for the county. The owl had put me at 195 and I felt pretty confident I would get there. Following the easy tick of a long-staying Harlequin Duck at the pier in Rodanthe, things got harder. The addition of Blue-winged Teal and Marsh Wren at Bodie Island, owl-less during the day, pulled me to 198. 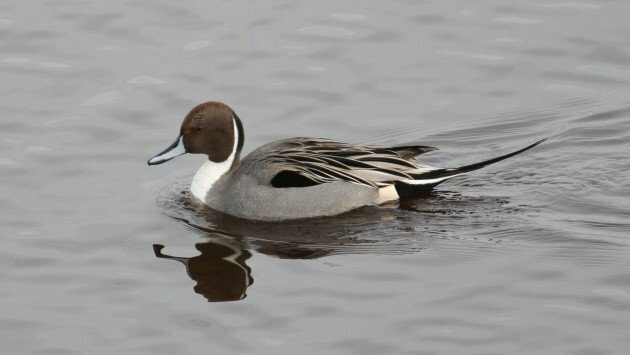 The ducks, like this Northern Pintail, are plentiful and unworried at Bodie Island. It was then that things started falling apart. The Iceland Gull at Wanchese was a no-show. The Yellow-crowned Night-Heron on the Nags Head causeway was tucked away. The Little Gulls at Jeanette’s Pier were out to sea. The Golden Eagles at Alligator River NWR were soaring elsewhere. I ended up stuck at 198 for the time being, but it was so bad. 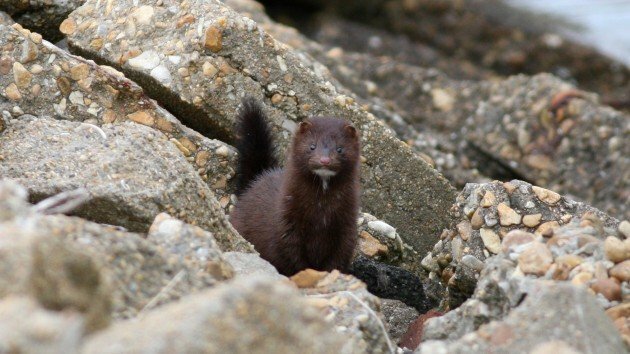 I found a curious American Mink working the tidal margin along the causeway where the Night-heron was supposed to be hanging out. 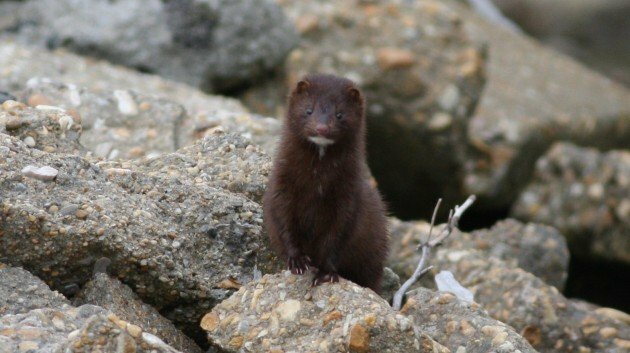 This is my second ridiculous mink experience. For some reason these secretive mustelids are attracted to me, though I have no doubt that if I were any smaller, they would devour me. All in all a fun trip. I’ll be back to close out 200 soon. 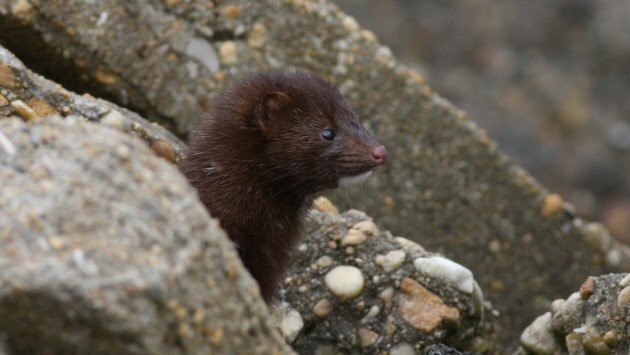 My spontaneous reaction to “mink” was “exterminate” since they are an invasive species here in Germany which severely impact wetland birds. Then I realized that they are okay on the Outer Banks. Now I fully appreciate how you feel reading blog posts about House Sparrows and Starlings.